*I did not make this, I ripped it from my cfw ps3. 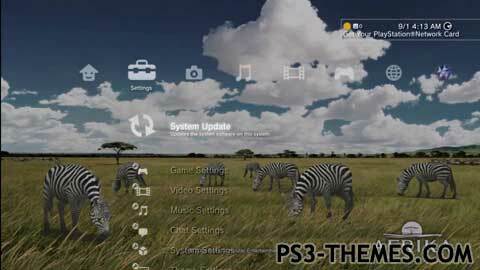 This theme was posted by PS3 Themes on July 16, 2016 at 4:38 pm, and is filed under Animals/Nature, Dynamic Themes. It’s legal to use themes. Please answer!, this is legal por the ps3?? I can be banned?? how do i install the afrika them please?